New stuff from Zara which gives me the Spring vibes. I know it’s already spring, but it doesn’t feel like. It’s stuffy outdoor, but without sun and of course rain. Well I’m used to it, it’s Holland haha. Today I went to Amsterdam for a photo shoot with Justin Michel. This week you will see the result, i’m really curious. But good news, you can win also a photo shoot with Justin. How? Easy! Fill in this survey and leave your email behind. Next to that you really help me out, because Heleen is doing research about the effectiveness of my blog. It cost only 15 minutes of your time, so pretty please! ♥ it! Super mooi dit bomberjack. Prachtige kleuren. Wat zie je er weer leuk uit! Ben heel benieuwd naar je fotoshoot én naar de resultaten. Ga je die ook delen? Kim onlangs geplaatst…Zo krijg jij ook bruine benen deze zomer! wat een heerlijke outfit!! toffe bomber en je schoentjes zijn ook erg leuk! 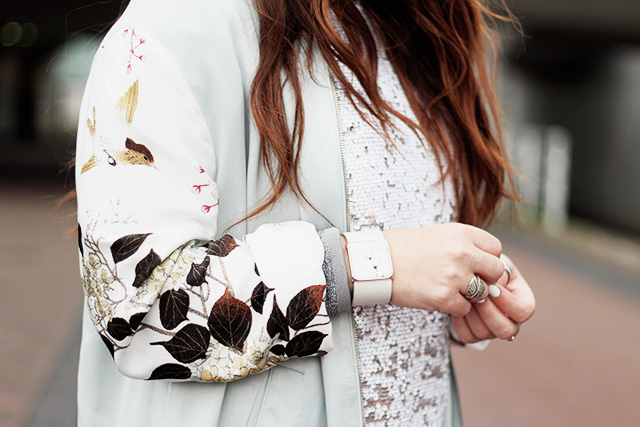 Mooie outfit girl, heerlijke kleurtjes!